With this program we hope to create an environment where kids will enjoy their training through games and practice runs at the Blue Jacket Park in Baldwin Park. All running and training will be confined to either the track or the grassy fields surrounding the Park, never on the roads. Cheetahs are taught sportsmanship, good running technique, team spirit by helping others and healthy eating habits. 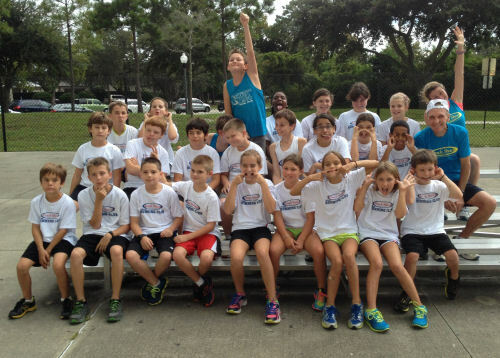 Who: Kids age 8 – 14 years old – registration is limited to 20 youth runners. Why: The purpose of this youth training program is to provide our young people with practical running experience that will grow with their overall athletic skills and encourage fitness and health for their lifetime. A Medical Form is required for each participant; please turn in the form to your coach on the first day of training.